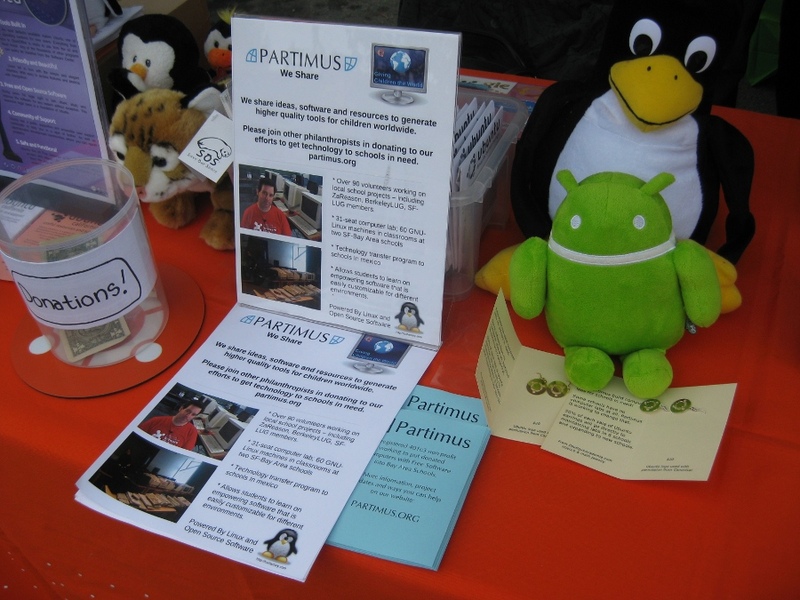 On Sunday, September 11th Partimus volunteers joined hundreds of local entertainers, artists, vendors, non-profits and community groups with a table at the 37th annual Solano Stroll in Berkeley, California. Our booth had volunteers from multiple local groups, including Partimus (board members Elizabeth Krumbach and Christian Einfeldt were on hand and co-founder Maile Urbancic came by), Ubuntu California and annual organizers of the booth BerkeleyLUG. Huge thanks to Jack Deslippe who handled all the coordination of the booth details. We were able to sell a couple pairs of the Ubuntu Earrings and combined with gracious donations from folks interested in our organization brought home over $40 in donations. 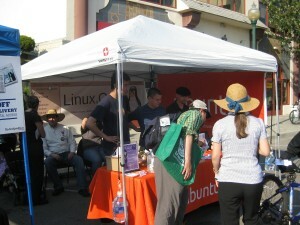 Thanks again to all the organizers, volunteers and everyone who stopped by our booth and expressed interest! This was written by Elizabeth Krumbach Joseph. Posted on Tuesday, September 13, 2011, at 5:34 am. Filed under News. Tagged donations, events, Ubuntu. Bookmark the permalink. Follow comments here with the RSS feed. Post a comment or leave a trackback.